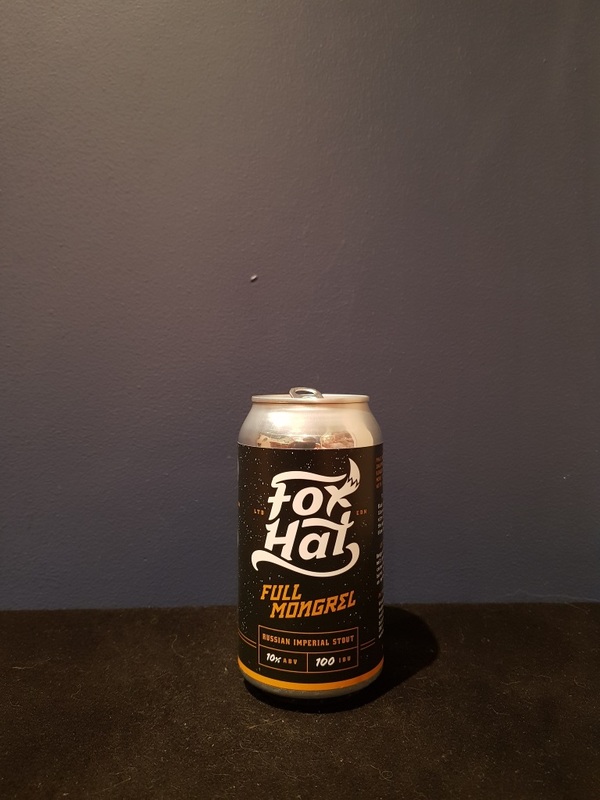 Beer #2659 is an imperial stout brewed by Fox Hat in Willunga, S.A., Australia. A dangerously drinkable Russian imperial stout that completely and utterly hides its’ 10% ABV. Smooth and roasty, reasonably bitter, mildly chocolatey, maybe a hint of coffee. There some sweetness but not much. For a Russian imperial its’ milder than most but that doesn’t imply that it’s weak. Excellent. The bottle size is 375ML with an alcohol content of 10.00% (containing approximately 3.00 AU / 3.80 UK standard drinks), and it costs $7.33.